Case Western Reserve&apos;s schools and college are pursuing opportunities to internationalize the campus further and expand the university&apos;s role in the international community. Engineering faculty and students study, research and collaborate in 33 countries and nearly 100 institutions. The university&apos;s chapter of the nonprofit Engineers Without Borders involves undergraduates in service projects throughout the developing world‚ as well as in the university&apos;s backyard. Engineering students have assisted communities in northern Thailand, Cameroon and the Dominican Republic with drinking water projects. 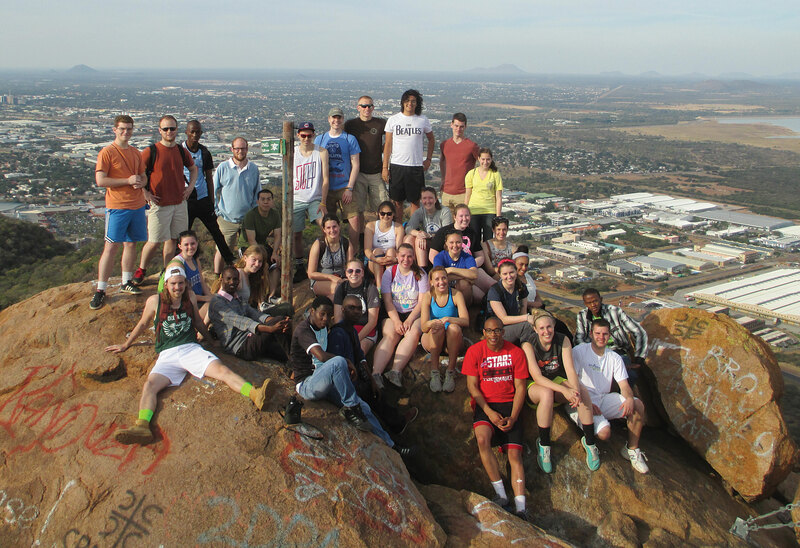 The engineering school also is a member of the Global Engineering Education Exchange, a worldwide program coordinated by the nonprofit Institute for International Education to provide study abroad experiences for students. A faculty member leads the Antarctic Search for Meteorites (ANSMET), a NASA-funded program. Since 1976, ANSMET research teams have recovered more than 20,000 specimens, which provide evidence concerning the material composition of planets, asteroids and other bodies in the solar system. College of Arts and Sciences faculty also lead short-term study abroad opportunities, with classes traveling recently to Jordan, Greece and Germany for immersive educational experiences. In a landmark 2008 partnership with Japan&apos;s Aichi Medical University, the school established the first graduate-level acute-care nurse practitioner/flight-nursing program in Asia. This collaboration enables its advanced-practice nurses to confront medical emergencies at roadsides and in natural disasters. The school also has signed cooperative agreements covering various programs with partner institutions in 21 countries. This fall, 24 nursing students are studying abroad in Nicaragua, China, Denmark, Ireland, Hong Kong and the Netherlands. The Mandel School is one of seven U.S. schools of social work assisting China&apos;s plan to graduate 3 million professional social workers by 2020. The school also provides popular short-term study abroad programs during semester breaks. During the last academic year, students traveled to countries such as Guatemala, Poland, the Netherlands and Ecuador to study subjects including child welfare, social justice, and mental health issues and practices. A team from the dental school works with the University of Tel Aviv, Ben Gurion University and the Israeli Antiquity Authority to excavate a seven-story cave in Israel, where they have unearthed clues about early lifestyles of humans. An agreement with the Brazilian government has allowed students from that country to pursue part of their clinical training on Case Western Reserve&apos;s campus. The dental school also recently worked with the Ohio State Dental Board to allow international students who are supervised by faculty members and approved for patient care to treat dental patients at the school. 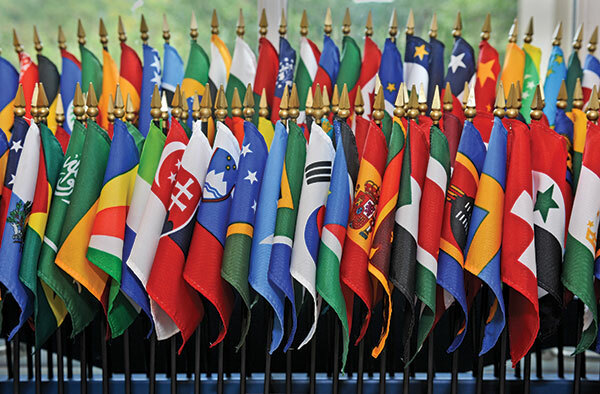 The School of Law has semester abroad programs with international law schools on five continents, and combined JD/LLM programs with universities in London, Paris and Madrid, Spain. Students in the school&apos;s international law program work on real international law issues with clients. And last summer, faculty members taught courses for an advanced professional certificate in international commercial law to Rwandan judges and senior officials in Kigali and by videoconference from Cleveland. Case Western Reserve is conducting one of the world&apos;s largest longitudinal studies of public health. In part, the study is looking at the health effects of urbanization on the population living in the Zhabei District of Shanghai, China. Meanwhile, a more than 25-year relationship with Ugandan researchers on HIV/AIDS research continues with a recent $12.7 million award from the National Institutes of Health. The grant supports multi-institutional clinical research efforts in Ohio and Uganda. The Global MBA, inaugurated in 2013, brings students from China, India and the United States together in a two-year, full-time program. The partnership includes Tongji University in Shanghai, Xavier School of Management in Jamshedpur and the Weatherhead School. Up to 60 students will be in each class‚ one-third from each nation‚ with students studying for one semester at each of the participating universities and then spending their final semester at their home school. The Weatherhead School also created a master&apos;s degree in finance program in China, also at Tongji. It is the first such program offered in China by an American university. © 2014 Case Western Reserve University, Cleveland, Ohio 44106. All rights reserved. Contact think.